Love 'em or hate 'em, slick-shifting automatic transmissions are here to stay. And Chevrolet is hoping the new 10-speed automatic available in the 2017 Camaro ZL1 will be enough to convert the masses, with claimed shift times that are faster than a Porsche PDK. 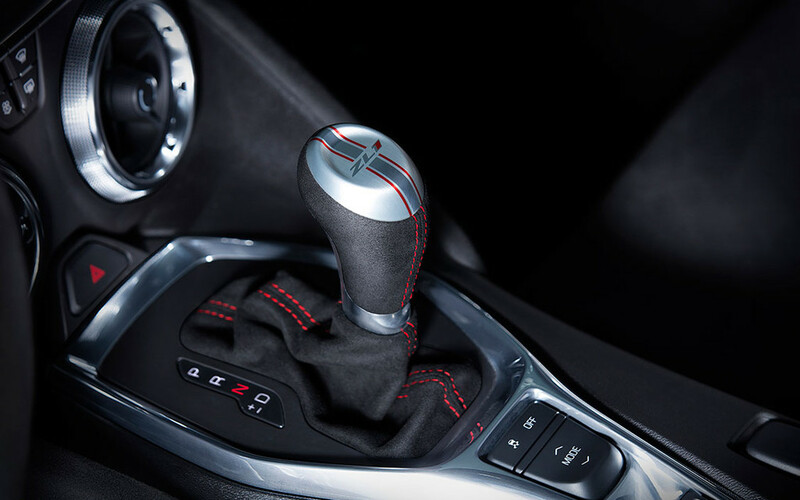 In fact, according to Chevy, the upshift between first and second gears is 36 per cent quicker than the benchmark-setting dual-clutch gearbox from Porsche, while the upshifts between second and third and third and fourth gears are 27- and 26 per cent quicker, respectively. "You touch the paddle and the gear changes with immediacy," ZL1 lead engineer Aaron Link said in a statement. "The shifts happen so quickly and without delay that it almost feels like an extension of your reflexes. It's a much more involving experience for the driver that really helps improve confidence and performance on the track." Chevrolet credits the 10-speed's wider 7.39 gear ratio spread and smaller steps between gears for the performance boost. "The gear ratios are so tightly spaced that the transmission is in the right gear and the engine is at the best (speed) for transitions from corners to straights," said Link. "And with the power from the ZL1's supercharged LT4 engine, the force you feel in your seat as you accelerate out of a turn will put a grin on your face every time." That LT4 makes an estimated 640 horsepower and 640 lb.-ft. of torque, for those keeping score at home. Despite the two extra gearsets and one additional clutch, Chevrolet said the new 10-speed, jointly developed with Ford, is approximately the same size as the eight-speed automatic available in non-ZL1 Camaro models.